North Lamar Panthers Cody Hohenberger and Cody Anthony joined others across the country in signing Letters of Intent on National Signing Day. 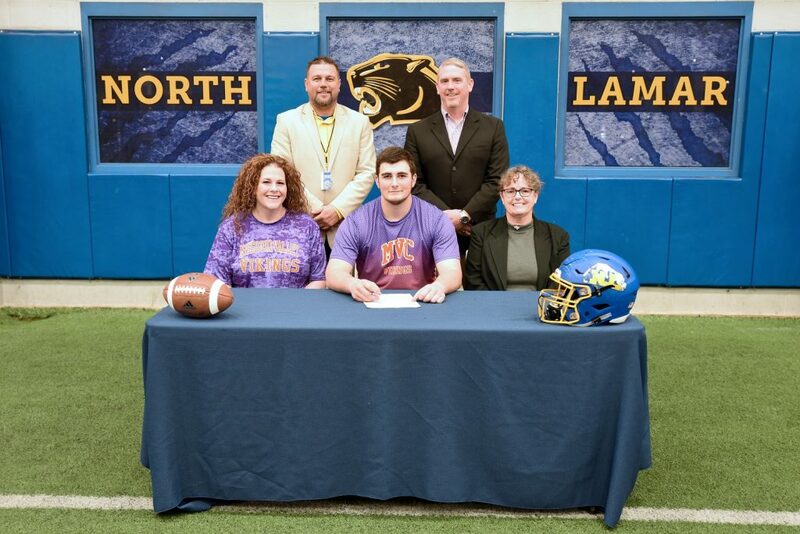 Hohenberger will be joining the Vikings football team at Missouri Valley College in the fall of 2019. MVC is located in Marshall, Missouri. Seated with Hohenberger are his mother Mandy Stinson and his aunt Leslie Lewis. Standing are North Lamar Athletic Director Aaron Emeyabbi and NLISD Superintendent Dr. Jason Adams. 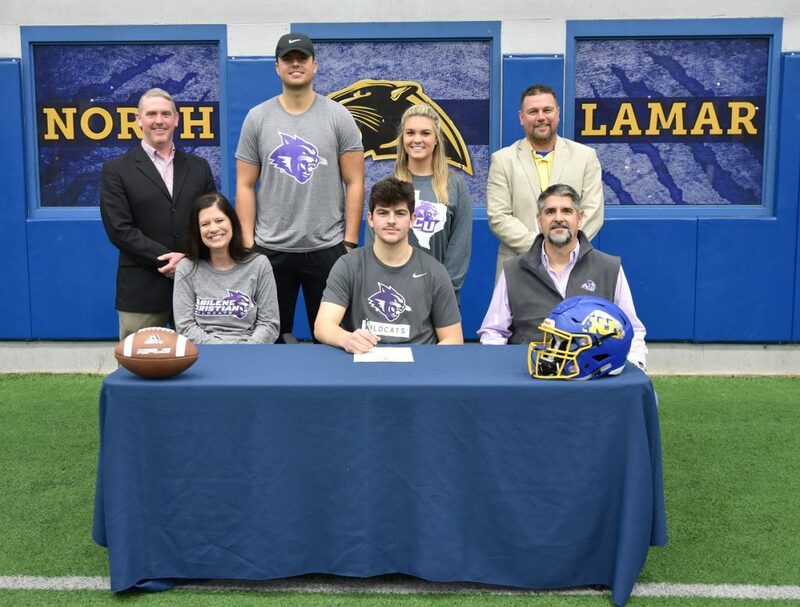 Anthony will be joining the Wildcats football team at Abilene Christian University in the fall. ACU is located in Abilene, Texas. Seated with Anthony, as he signs, are his parents, Kristi and Jay Anthony. Standing are Dr. Adams, brother Austin, sister-in-law Erin, and Emeyabbi.